For the final project in this year-long project series, we're going to tackle the mother-of-all-bags! 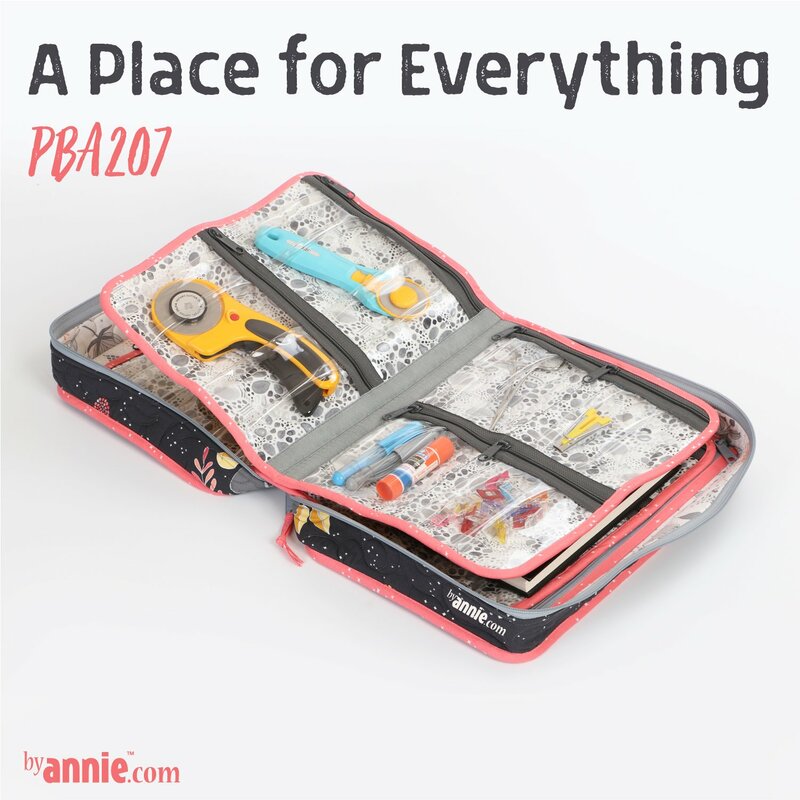 You’ll love this spacious organizer with lots of zippered pockets to hold everything you need— sewing machine feet and accessories, tools, and more. You’ll take all the skills you learned as you worked on the other projects and perfect them with this bag. - Expand on the zipper-making skills you learned in Project 1 as you learn to make zippers of any length using Zippers by the Yard. - Discover how to make expandable vinyl pockets which will hold larger items. You'll love the handy folding template included in the pattern. - Mesh pockets and bindings will be easy-peasy since you’ve mastered them in so many projects up to this point. - Learn the secrets to attaching hook-and-loop fastener to pocket pages. Take a bow and show off your year's projects. You've organized your supplies, made some fun gifts, and refined your skills. Kudos!